What is the role of modal analysis in modern control and monitoring systems? The popularity of modal analysis in terms of various monitoring and control systems is attributed to the fact, that the vibration control implies the need of structural dynamic behavior analysis. Structural dynamics and modal parameters control allows to identify such factors as natural frequencies, damping ratios, mode shapes. All these factors are of crucial importance for vibrational parameters monitoring of the control structure. It is necessary to control these vibrational parameters, since the vibrational impact affecting structures with complex dynamic behavior may eventually result into deterioration of the controlled object parameters or even destroy it. Even though the importance of modal analysis implementation is quite obvious for already several decades, it seems reasonable to differentiate between types of modal analysis which have certain distinctive features and application specifics. In spite of the fact, that modern control and monitoring systems use a variety of modern analysis algorithms depending on the system scale, specifics of the controlled structure and intended functional range, it is still possible to outline two major types of modal analysis: experimental modal analysis and operational modal analysis. Let us consider the basic features of Experimental modal analysis. 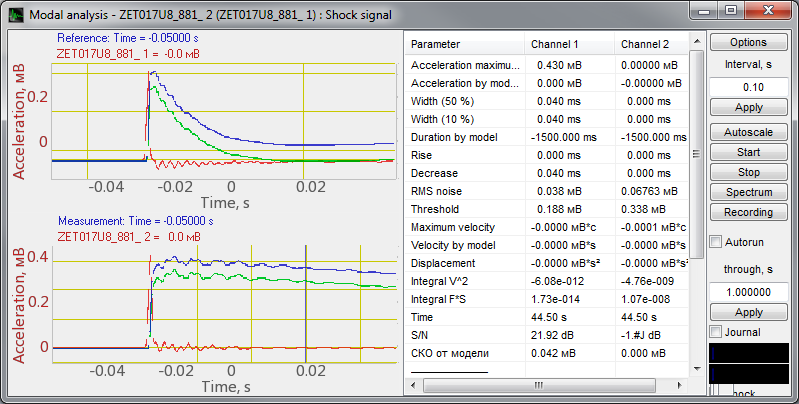 5) due to specific requirements to the controlled test impact and positioning of the measurement transducers, it is often impossible to conduct EMA in-situ (e.g., due to lack of access to the controlled object, its size, weight, or operational environment). Thus, it is quite often that the classical modal analysis has to be performed only in the laboratory environment. 6) there are also other factors, which can make the performance of experimental modal analysis impossible. For instance, sometimes it is difficult to simulate the required test impact in laboratory environment due to its range, direction or complexity. Thus, there is no possibility to simulate system behavior/ response in the real operational environment. Another limitation of the experimental modal analysis may be attributed to the duration of test impact (e.g., in the case if it is necessary to conduct a long-term imitation of environmental impact or specimen operation). In spite of the number of the above listed limitations and requirements, it would be wrong to consider the Experimental modal analysis to be an outdated research method (if compared, for instance, with the Operational modal analysis). Experimental modal analysis should be considered to be one of the modal analysis methods, which are often used together with each other depending on the particular task to be addressed. 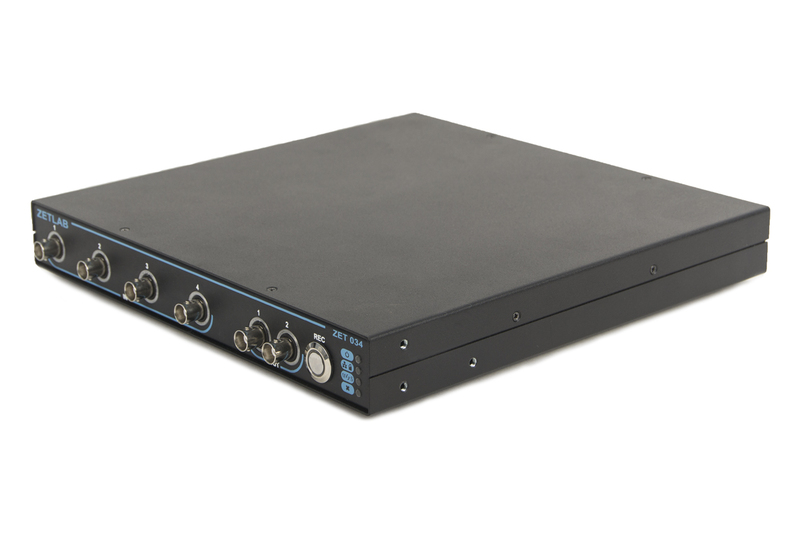 FFT Spectrum analyzers can be used for data acquisition in real-time mode. These instruments can be integrated into a number of distributed systems used for various types of measurement and analysis, including the experimental modal analysis. 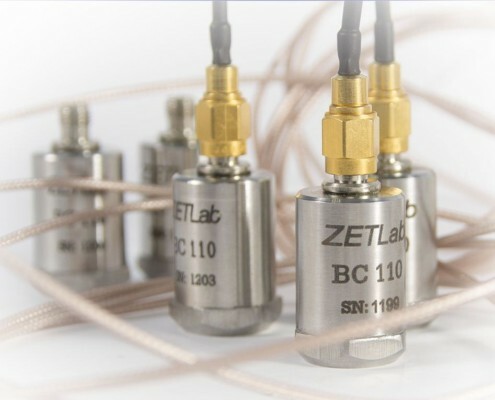 ZETLAB Software is a unique combination of task-specifiс programs allowing to implement a wide range of measurement, control, and analysis solutions. The software suite also includes the program, which has been developed for Modal analysis implementation.